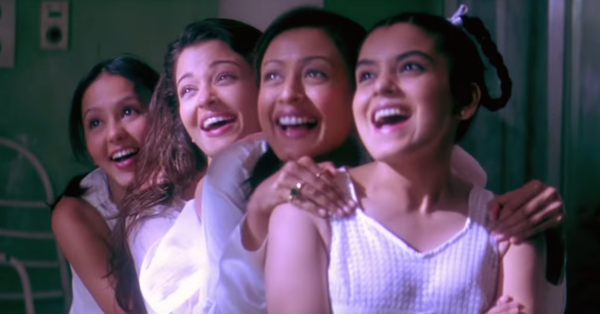 10 Things You’ll Only Get If You’re The Youngest In The Family! 1. Oh, the hand-me-downs! No, thank you! Your closet is always bigger than everyone else’s in the family because of the cast-offs that automatically come to you. The same goes for toys. While you may have loved your elder siblings’ dresses or toys, by the time they reached you, they were kinda uncool - and, well, old. Yup! Remember the time when you were gloating about finally being allowed to go out without an elder person there to look after you? That was also the time you became the official errand runner for your elder siblings. 3. If you went to the same school as your elder sibling, you need a hug. Teachers refer to you as someone’s younger sister more than your real name. And God have mercy on you if the elder one was a brilliant student. BUT you also got major perks out of it. Such as NEVER being bullied by anyone because that would basically result in catastrophe. You’re always the centre of attention at all family gatherings. Everyone loves to poke and tease you around because...well, you’re a younger human they like to poke. No explanations needed there. You secretly love all the attention you get at family gatherings...read: as a kid! And you developed a badass sense of humour because of it. You also love entertaining the older folks...and you’re great at it. And even if you’re not, they still love it when you’re being silly just so that they can have some fun. 6. You will always be called a baby. Even when you’re way past the baby stage. You don’t get it why it’s a shock to your family when you tell them you’re not six years old any more. When you do tell them that, they probably think you’re talking gibberish two-year-old talk...because it simply makes no sense to them. You somehow found out about your elder sibling’s secret and happened to tell your parents about it once. ONCE! Since then you’ve forever been accused of having a big mouth and letting your parents in on private secrets. And the things you have to do for them to make it up...that also lasts forever. You will never be the one to simply be allowed to make a life decision without hearing the verdict from each and everyone in your family. 10. But that makes you realize how much they love you and you wouldn’t trade that for anything in the world. Ever! Deep inside you know how much you are loved and you are grateful for it. This might also make you feel sad for your elder siblings - the fact that you were the first and last one to have been over-protected and pampered… But you can console them saying they’ll be the first ones to wear adult diapers. Tee-hee! GIFs: Giphy MUST READ: 15 Reasons Why Having An Older Sibling Is Awesome MUST READ: 11 Things Your Older Sibling Was SO Right About!